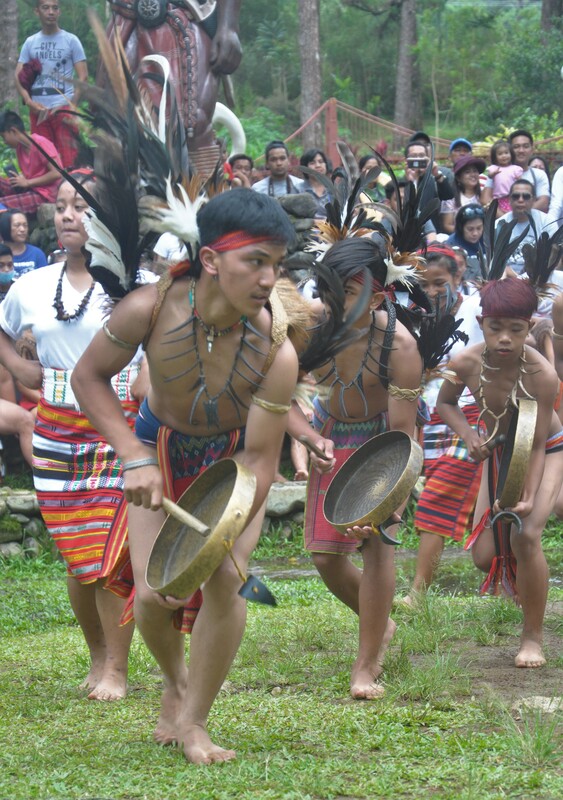 BAGUIO CITY — Indigenous officials in the city are in agreement on the need to educate both IPs and non-IPs on the proper wearing of Igorot native attires and dances. Speaking before the participants and tourist during the Am-among di Gumagangsa, Mayor Mauricio Domogan and National Commission on Indigenous Peoples Regional Chief Atty. Roland Calde emphasized that Igorot cultural performers, officials and even tourists have a lot to learn about the Cordillera culture. The activity held at the Botanical Garden last May 27 is the second gangsa festival after its launching last year. “I see and I am happy that some of you have perfected the dances from Ifugao and Benguet, but I have not seen any group correctly perform the tadek of western Mt. 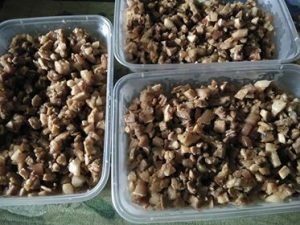 Province, the Tinggian of Abra and dances of the Bago of Ilocos Sur,” comments Domogan in Ilokano. The mayor underscored that before adding artistic choreography to the native dances, performers, especially students and teachers should first know the traditional steps and forms. LET IT REVERBERATE. 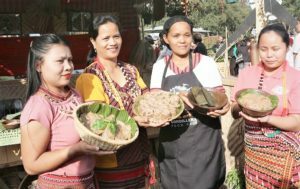 Cultural groups accross the Cordillera awed tourists and local officials with their skillful beatings of the gangsa during the 2nd Am-among di Gumagangsa Festival held on May 27 at the Baguio City Botanical Garden. Photo by Sherwin De Vera. He also added that knowing the movements are not enough, but must also be aware of the meaning and proper use of the different fabric weave and native accessories. For his part, Calde said that NCIP-Cordillera will undertake a study on IP Ethnography in the region in cooperation with the regional office of the National Economic Development Authority. “We have presented it before the Committee on IP Concern but we need to initially approve it with the RDC because we need the Memorandum of Understanding so under these IP ethnographies,” explains the NCIP-CAR head. He also shared the aim of the project to not only come up with a research but also uniform guidelines on undertaking researches on IP culture and communities. Asked on the use of the Cordillera native attire by tourist and protesters, Calde said that there is no law prohibiting it, “but we can regulate the use by non-IPs,” he said. The director also thinks that Igorots wearing their native cloth during protest is not an issue, “it is their right, if they want to be seen and identified during the activity as Igorots,” he explains in Ilokano.